WILLIAM "BILL" JEFFERSON CLINTON was born in Hope, Arkansas. He received a bachelor's degree in international affairs in 1968 from Georgetown University School of Foreign Service and attended Oxford University as a Rhodes Scholar. After graduating from Yale Law School in 1973, he joined the staff of the University of Arkansas School of Law and practiced in Fayetteville. He was elected attorney general in 1976 and in 1978 won his first bid for governor, becoming the nation's youngest governor. In 1981, after losing reelection, he joined a Little Rock law firm. He ran again for governor and was elected in 1982, and reelected in 1984, 1986, and 1990. He served as chair of the Democratic Leadership Council, the Democratic Governors' Association, and the Education Commission of the States. In 1986 he served as chair of the Southern Growth Policies Board and appointed to the third Commission on the Future of the South. He served as chair of the National Governors Association from 1986 to 1987, overseeing the initiative "Making America Work: Productive People, Productive Policies" and leading an effort to develop a national welfare reform policy. 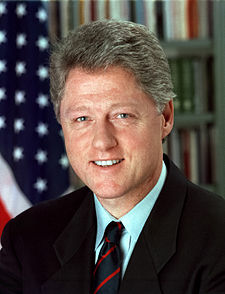 Bill Clinton resigned as governor after his election to president in 1992. David E Kendall Partner at WIlliams & Connolly LLP and Private Attorney for President Bill Clinton. Maria Echaveste Co-founded a strategic and policy consulting group, served as a senior White House and U.S. Department of Labor official, and worked as a community leader and corporate attorney.